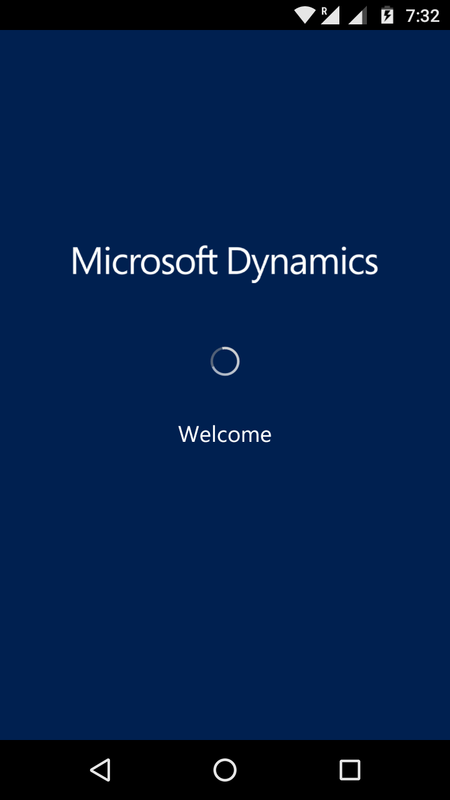 “Task Flow” is a new feature available with CRM 2016 online update and is currently on preview mode. Task flows are targeted for phones or tablets. You can configure set of steps, where user perform day to day and package that as a ‘Task Flow’. “Task Flows” are somewhat similar to Dialog, which helps User with guided navigation of common tasks, but for Phone and Tablets. In this article I am going to create a simple ‘Task Flow’ to capture Contact’s address along with a ‘Business Rule’. 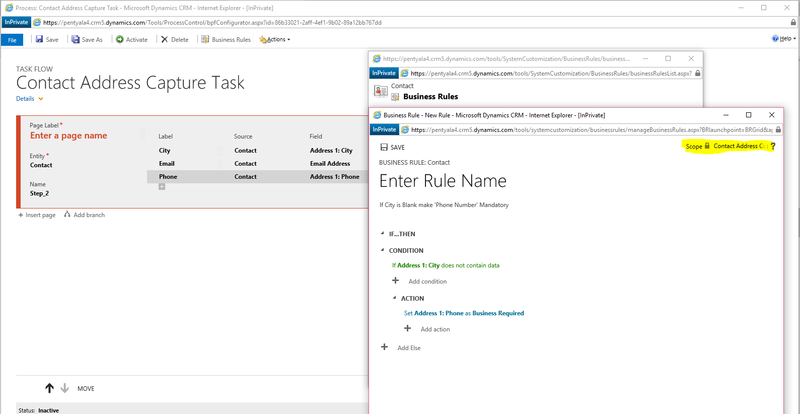 Task flows are a preview feature in CRM Online 2016 Update. So we need to first enable the feature. Agree the License terms and select the preview feature. After enabling ‘Task Flow’ feature, you will get a new ‘Business Process Type’, if you choose ‘Business Process Flow’. 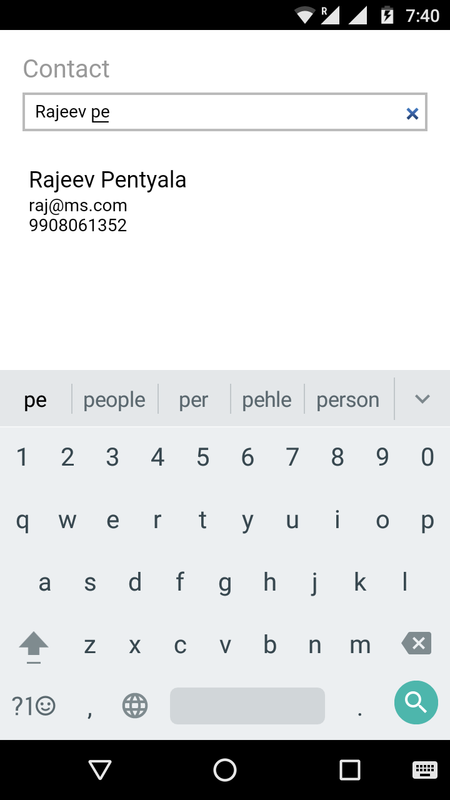 As I want to capture my Contact’s Address details, I configured my ‘Task Flow’ with below fields. 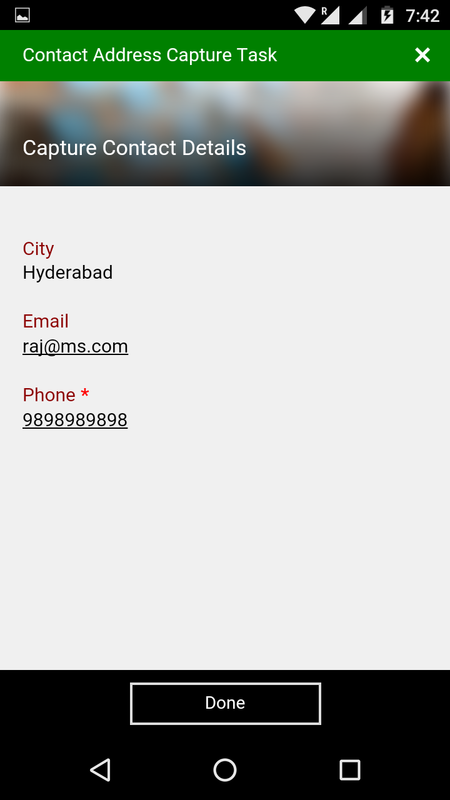 I want ‘Phone number’ mandatory, if my Contact does not specify ‘City’. 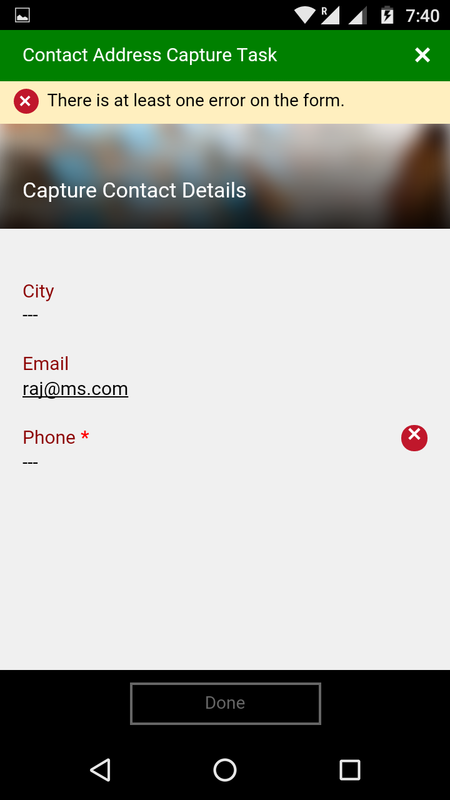 Click on the Icon and choose the “Contact Address Capture Task”. 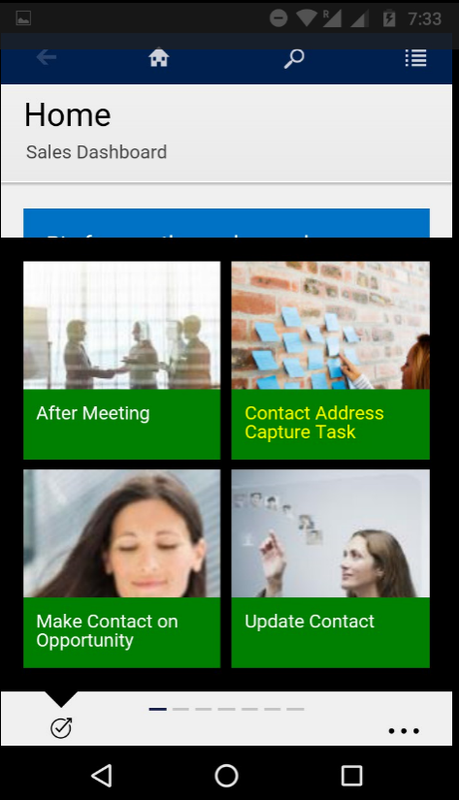 Since “Task Flow” was configured on ‘Contact’ entity, I got ‘Contact’ search screen. I picked up the Contact which i want to update the Address details. I provided the details and click ‘Done’ to save the details.